Since I'm teaching trig this year, I wanted to create some posters to jog my students' memories about special right triangles. I designed the title to print on 8.5" x 11" and the triangle posters to print on 11 x 17 card stock (affiliate link) so they can be seen from across the room. If you don't have access to 11" x 17" paper, my husband showed me the other day that you can print the file to two 8.5" x 11" pages and tape them together. He did this with my grouping symbols poster, and it looked great! I've uploaded the files here as an editable Publisher file and non-editable PDF file. For the Publisher file, you'll need to download the font Wellfleet or substitute your own favorite font. Downloading the PDF file will preserve the fonts and the formatting. One of my favorite strategies to use during group/team work is red/yellow/green cups. 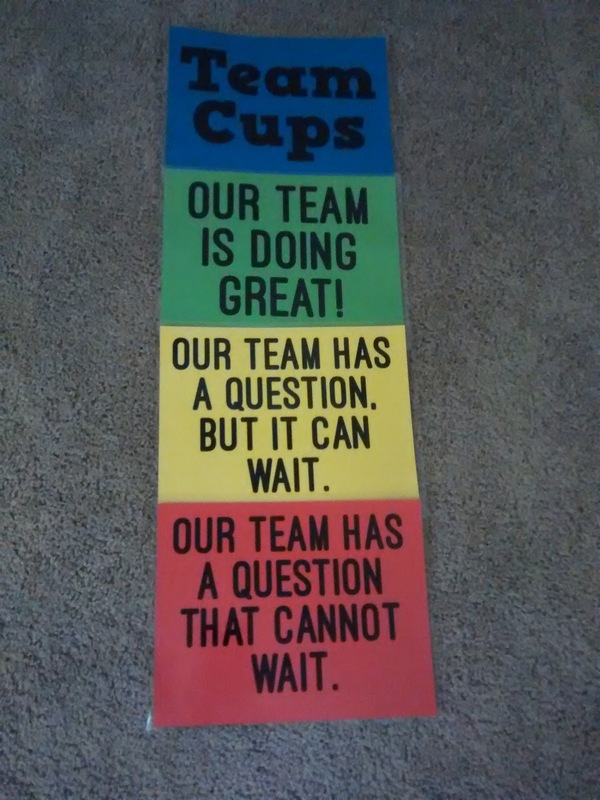 I bought a package of each color of cups at Party City a few years ago. I'm still using the same cups, so they've held up well. Each group gets a stack of three cups. Red on bottom. Yellow in the middle. Green on top. At least that's the way they start the activity. As groups work together on the assigned task, they change which cup is on top of the stack to signal what they need from me. If the green cup is showing, I know they are working well. If the yellow cup is showing, I know that group has a question, but they can keep working until I get to them. If the red cup is showing, I know that the group needs urgent help and feels they can't move forward without me. As you can see, this group is working well. If you're interested, I blogged on the activity they are working on here. To jog students' memory about what the cups stand for, I made a set of posters to display. I printed the meaning of each color of cup on that color of paper. I didn't know what color to make the title, so I just made it blue. That was a completely arbitrary choice. If you'd like to download the files for these posters, I've uploaded them here as an editable Publisher file and a non-editable PDF file. If you go the Publisher route, you'll need to also download these free fonts or substitute your own favorites: HVD Comic Serif Pro and Ostrich Sans Heavy. If you don't want to fuss with fonts, just choose the PDF version. 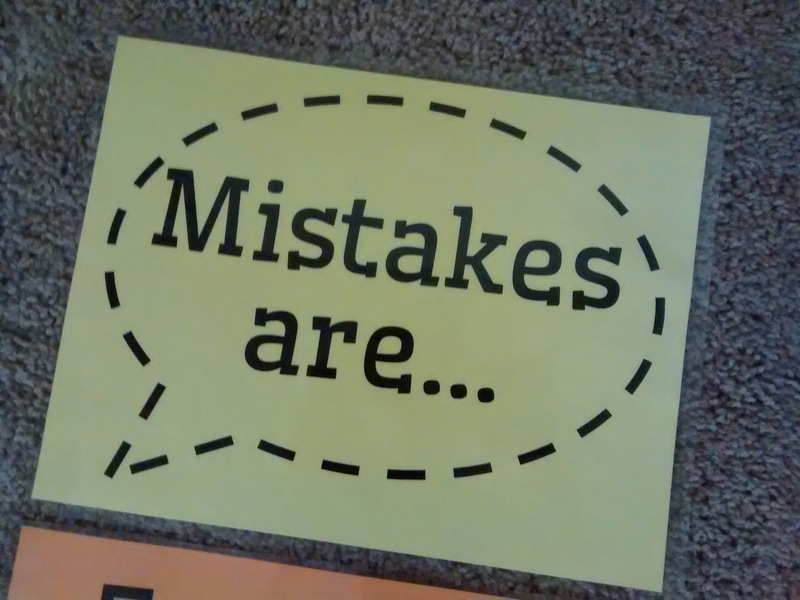 A continual focus in my classroom is helping my students build a growth mindset. 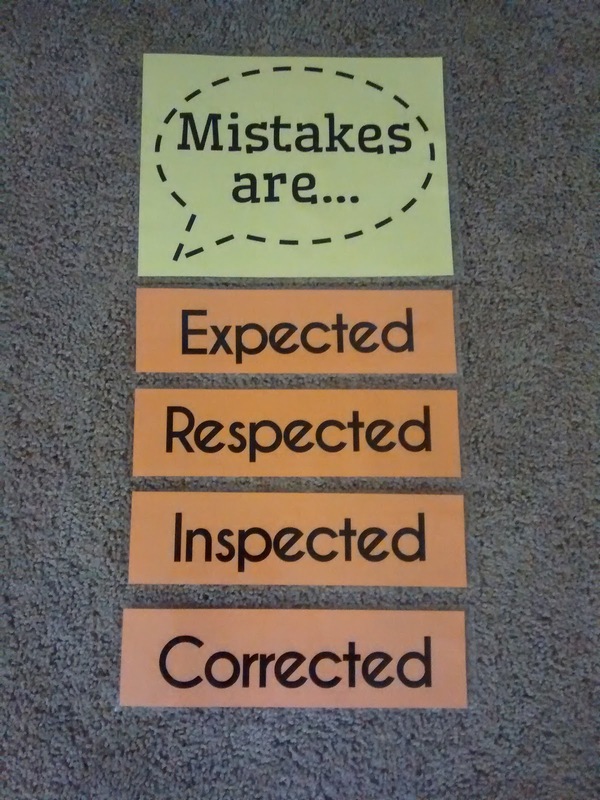 One quote I've seen time and time again when it comes to mindset is "Mistakes are expected, respected, inspected, and corrected." I've seen this attributed to Jo Boaler and her "How to Learn Math" course. 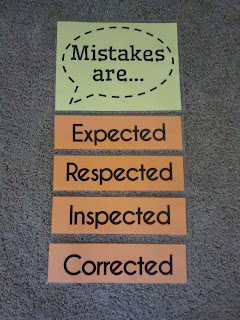 This summer, I decided that I wanted to post this on the wall in my classroom as a reminder to students. I looked online to see if anybody else had already made a poster, but I didn't see anything that really caught my eye. Though, there might have been a great one that I just missed somehow... To be honest, I didn't spend all that much time looking. I originally wanted the words at the bottom to be printed on two different colors of paper and be alternated, but I accidentally loaded two sheets of orange paper in my printer. So, orange it is! As soon as I can get access to my classroom, I'll post a picture of them in action! If you'd like to post these in your own classroom, I've uploaded the files here as an editable Publisher file and a non-editable PDF file. For the Publisher file, you'll need to also download these free fonts: Wellfleet and Caviar Dreams. If you don't want to deal with fonts, just download the PDF version. 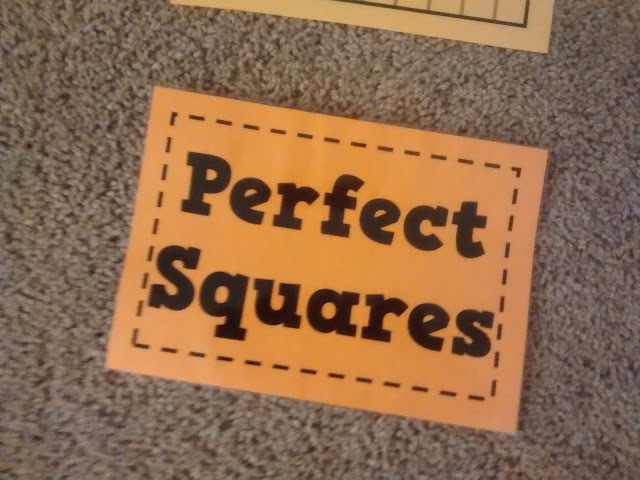 I just love the visual representation of the different perfect squares and perfect cubes. Clarissa placed pre-cut numbers on top of the colored squares and cubes. 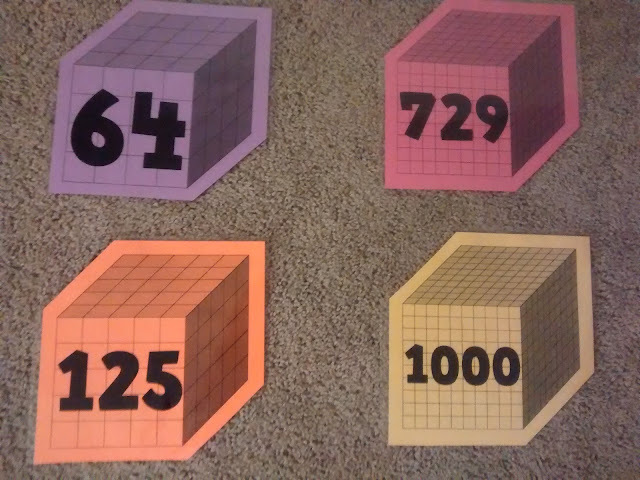 I decided I wanted to simplify things a bit and just print the numbers directly on the squares and cubes. This also let me do cubes higher than 216. Here's how they turned out. 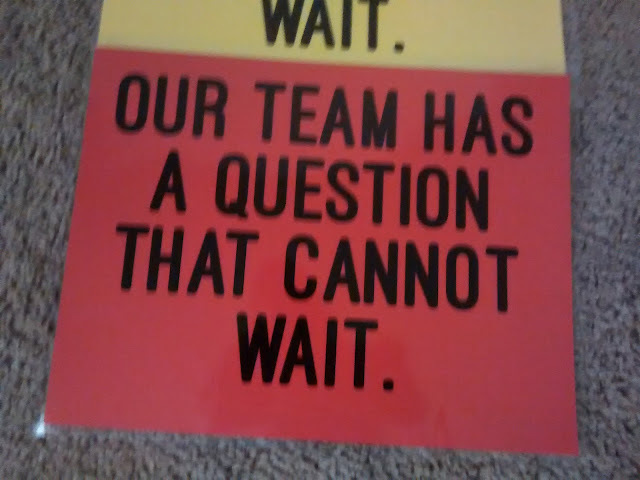 I printed them on colored paper and laminated them. 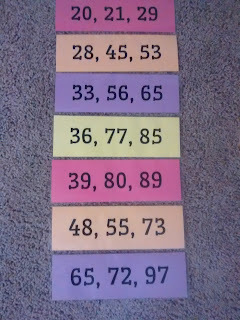 As soon as I'm allowed back in school, I'll be hanging them up above my number line! I just LOVE looking at these! And one more picture just because I got carried away taking pictures because I love these posters that much! Now, onto perfect cubes! My husband graciously used his geogebra skills to make the images of the cubes for me. Thanks Shaun! 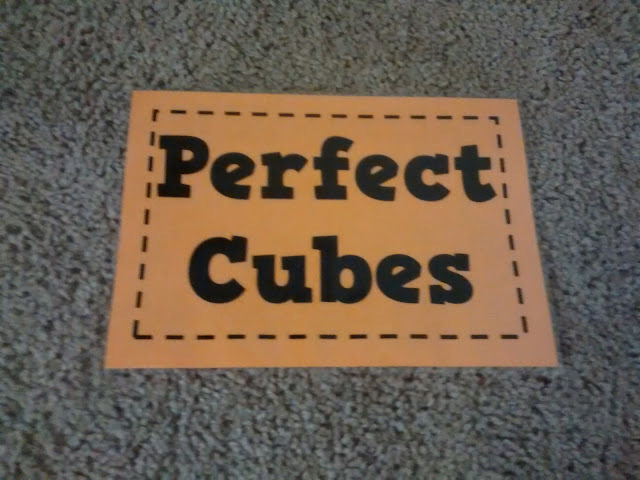 I also made a sign to hang next to the perfect cubes! If you want to download these posters for your classroom, I've uploaded them here as editable Publisher files and non-editable PDF files. For the Publisher file, you'll also need to download the font HVD Comic Serif Pro or substitute your own favorite font. 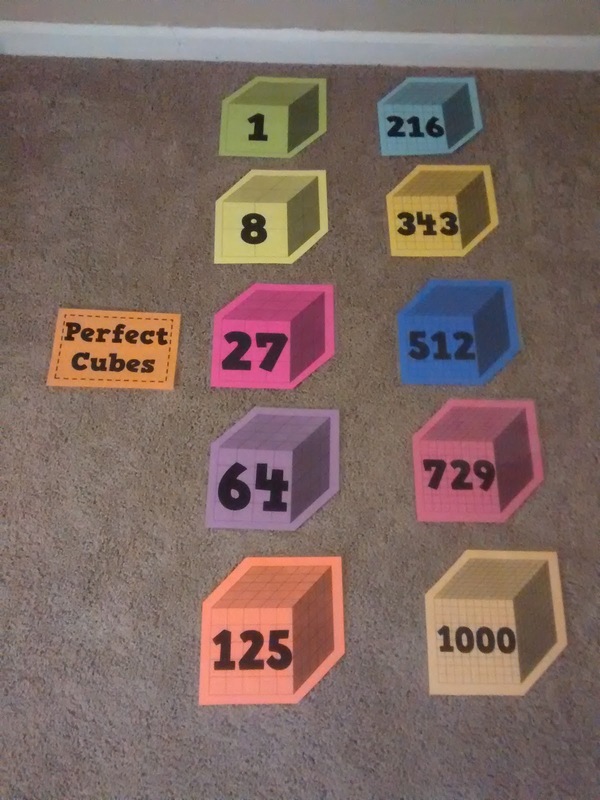 If you prefer Clarissa's version with the pre-cut numbering, you can download her files here. Update 7/28/16: My husband wrote a blog post that includes the Geogebra code to create your own cubes if you so wish. With a new classroom to decorate, I've been brainstorming math-y things I could hang on my wall. 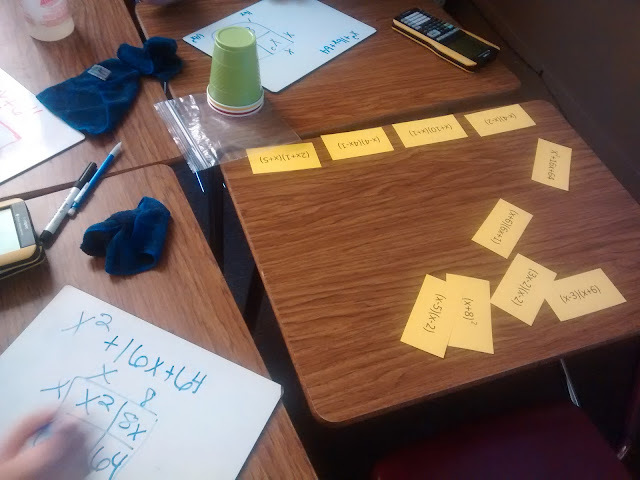 I'm teaching Algebra 1, Trig, and Math Concepts (a class for 9th graders not yet ready for Algebra 1) this year. As I was making a list of things my trig students need to review at the beginning of the year, the Pythagorean theorem popped into mind. 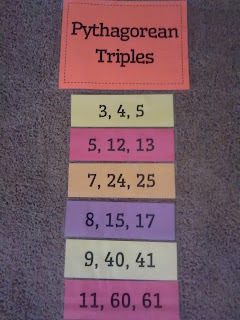 And, I instantly decided I wanted to make a poster of Pythagorean triples. I also read that some people call them "Pythagorean Triplets." How cute is that?!? I made a Title Poster that is a full letter-sized sheet of paper. The Pythagorean triples are printed four-to-a-page. Full disclosure: These are not ALL of the triples that exist. That would be impossible to list. Instead, I chose to list all of the Pythagorean triples that contain values less than 100. 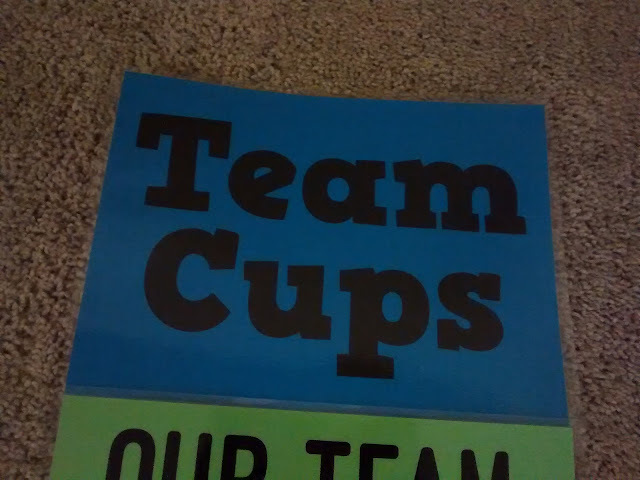 I specifically designed the posters so that you can print them on four different colors of paper for some color variation. If you arrange them numerically by the first digit in the triple, they'll make a pretty pattern. Of course, you could also print them all on a single color if that's more your style. I didn't put cut lines on the pages with the triples, so you'll need to take them to a paper chopper. I cut mine exactly in half and then cut each half in half again. If you're interested in the files, I've uploaded them here. If you download the editable Publisher file, you'll also need to download the font Wellfleet. If you don't want to mess with fonts, there's a PDF version for you, too! Ready for more posters and more pictures taken in the floor of my living room? I apparently don't take pictures of it very often, so here's a really old picture I took while decorating my classroom for the first time ever. You can see it on the right with baskets sitting in front of it and my first ever attempt at painters tape on a white board next to it . For as long as I've had this graph board (read: four years!) I've thought that I should label the parts of the coordinate plane on it with magnets. This summer, I finally decided to move forward with my plan. 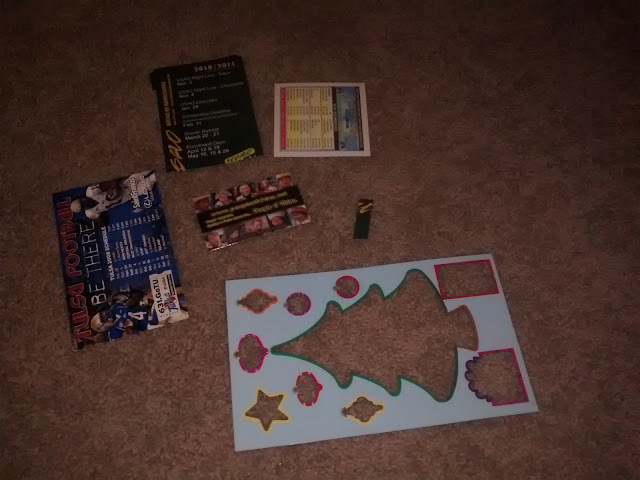 After all, making posters and magnets is waaaaaaaaaaaay more fun that working on lesson plans for the upcoming year. I used on of my new favorite approaches on these magnets. I created a bold, dashed outline of each piece. This means you can just cut between the dashed edges, and your finished product looks pretty. This answers my age-old question of "Should I cut inside or outside of the line?" This also meant that I could laminate the pages before I cut them and only have to cut once! Yay for saving time and looking cute! I printed the magnets on two colors of paper, but you could easily print them on the same color if that floats your boat. 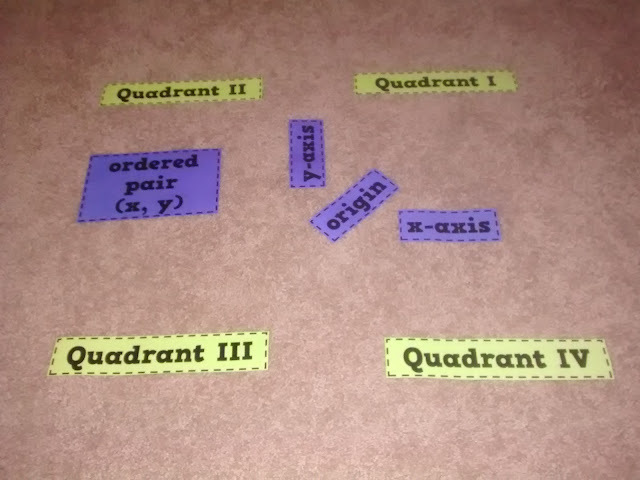 Since I don't have access to my graph board at the moment, you'll just have to pretend that my living room carpet is a lovely coordinate plane. 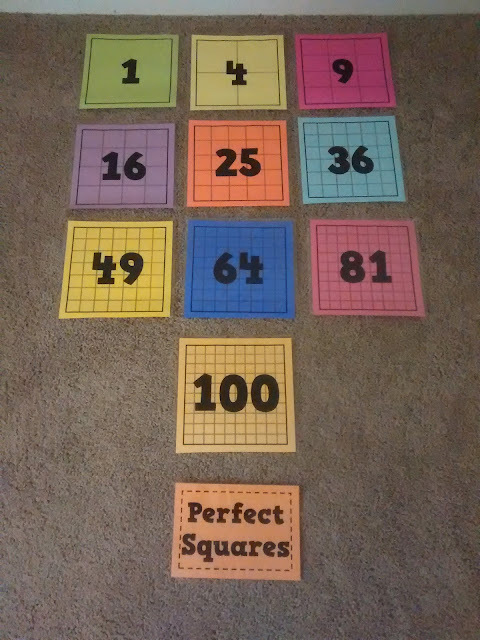 My idea is that when we are reviewing the coordinate plane that I could have various stations set up. 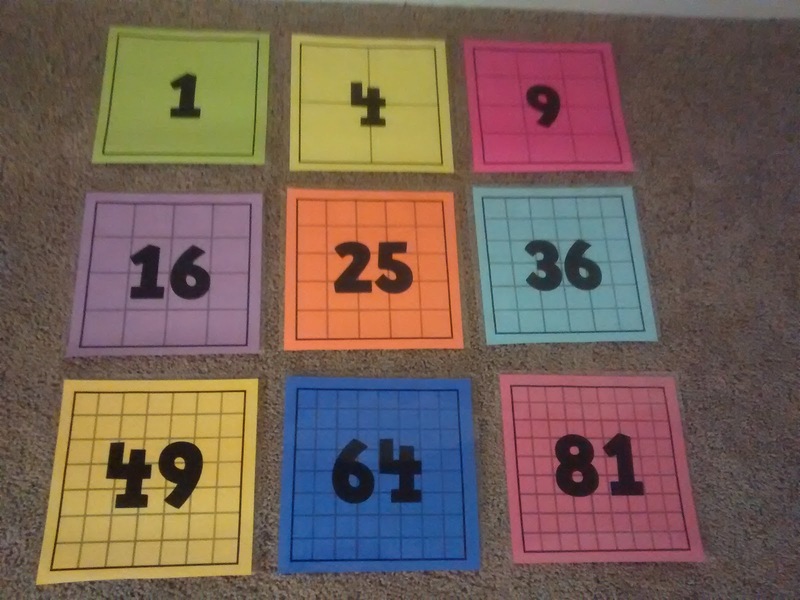 One station would be to take the magnets and place them in their correct place on the coordinate plane. Want to know my secret to making magnetic things in my classroom? I save all the random magnets that somehow make their way into my life. Then, I cut them up and hot glue them on the back of laminated paper to make instant classroom magnets. 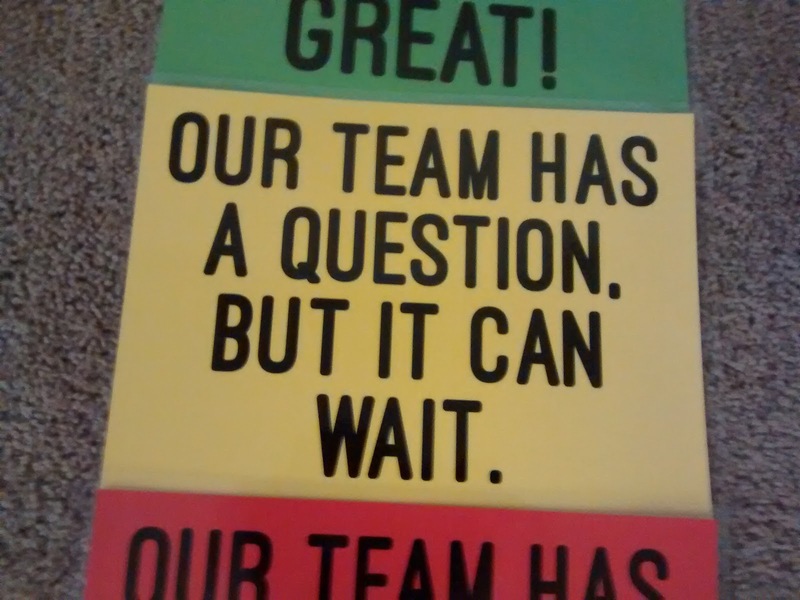 Once I get in my classroom and get these hung up properly, I'll update this post with new classroom pictures! If you want these files, I have uploaded them here. For the editable Publisher file, you'll also need to download the font HVD Comic Serif Pro. Of course, you can also substitute your own favorite font. If you don't want to worry about fonts, you can also download the non-editable PDF file. Bad news. 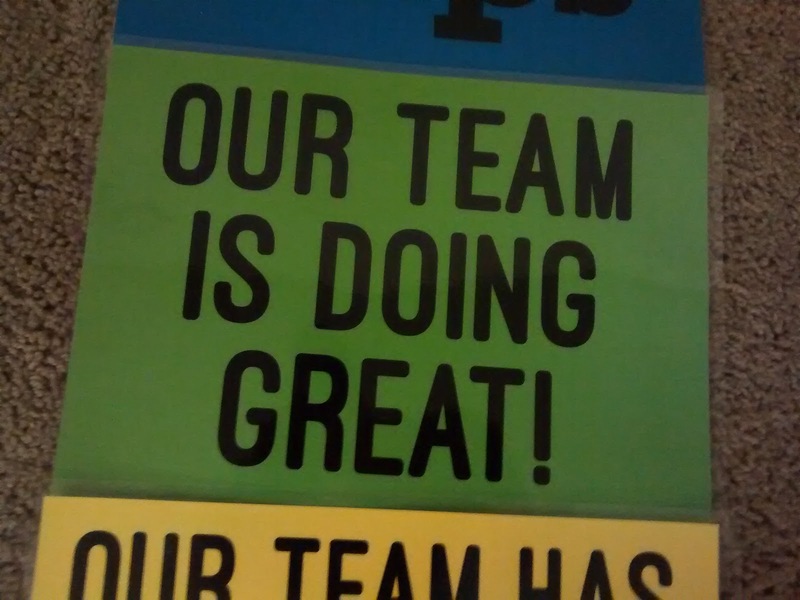 I printed off a bunch of new posters, drove up to school to hang them up/take pictures for my blog, and had to turn around and go back home because the custodians have waxed the floors. We aren't allowed back in the building until August 1st, and I just can't wait that long to share all my new posters. So, I apologize that these posts will be lacking photos of them in action. 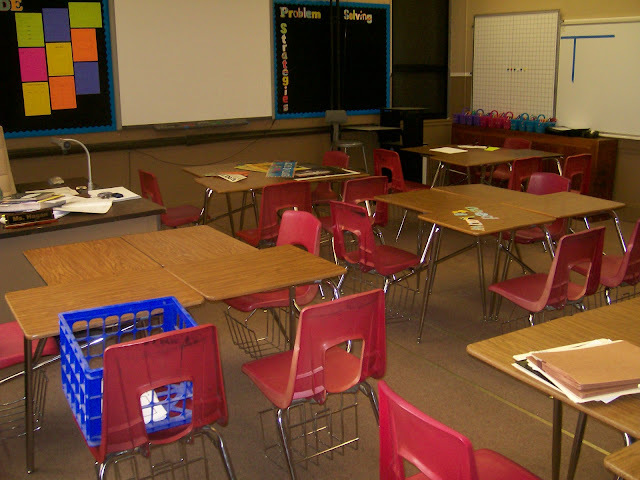 Once my classroom is decorated and ready-to-go for the new school year, I'll be sure to take pictures and come back and update these posts with pictures. 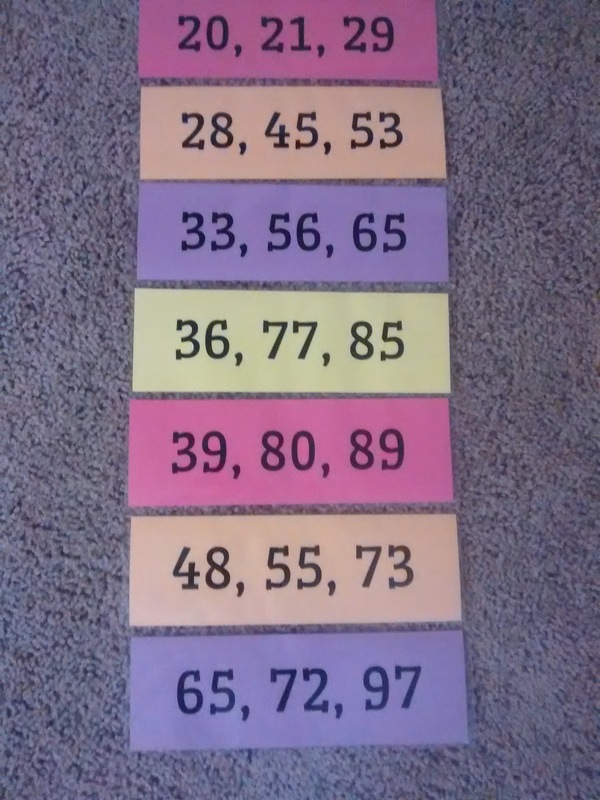 Today, I want to share a vertical number line I made for my classroom. I've wanted one of these for ages. 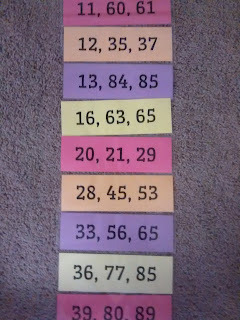 Years ago, I made a horizontal number line from a free download I found on a British book publisher's website. (Blog post here.) And, don't worry. 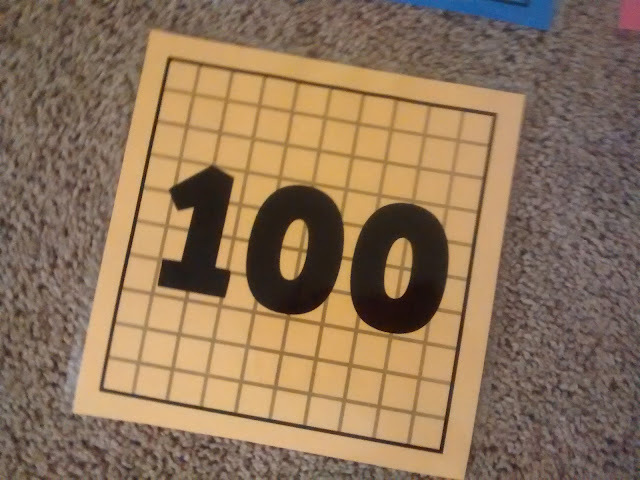 I'm keeping the horizontal number line, too. 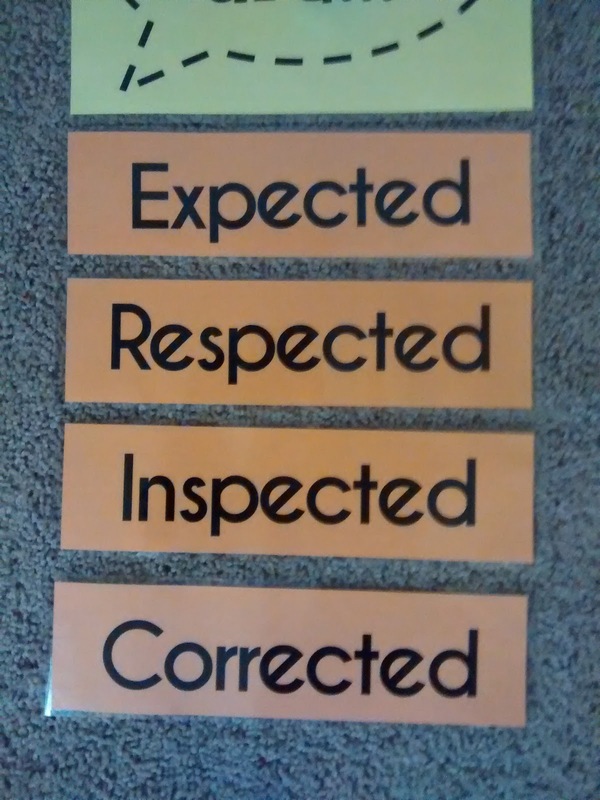 I want my students to be able to choose which tool works best for them since I have students which prefer each. 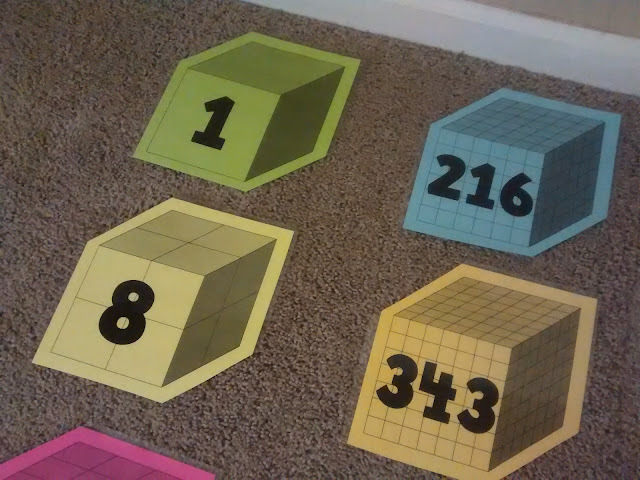 It also means I can have number lines on multiple walls of my classroom! I mentioned that I would love a vertical version, and Kathryn Belmonte made one and blogged about it here. 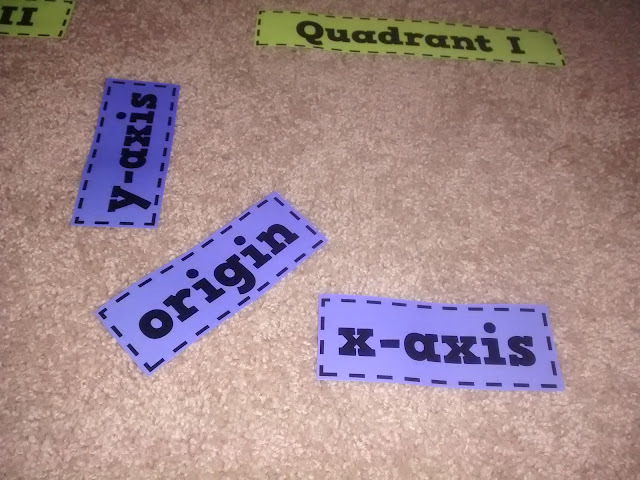 I had a student aide cut it out and try putting it together, and we couldn't figure out how to get it to line up exactly. That project fell by the wayside. 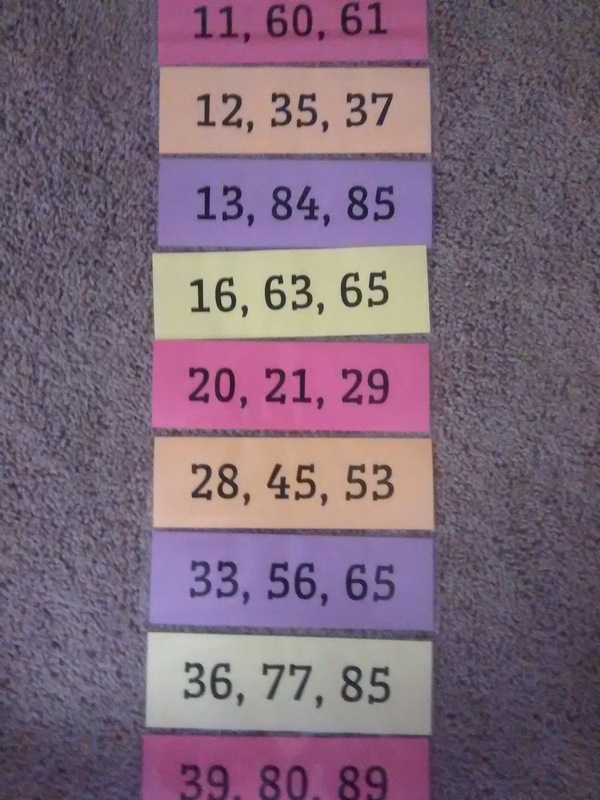 This summer, I decided to set out to make a vertical number line in the same style as the horizontal number line I'd made several years ago. To put together the number line, I had to print each page of the file, laminate each page, cut each page in half, and finally cut off the left-hand edge of each strip. This allowed each strip to overlap, creating as seamless of an image as possible. 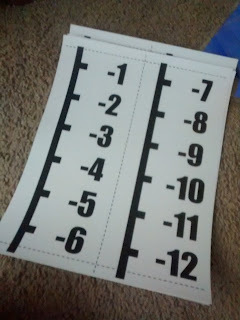 If you didn't choose to laminate each page, you could actually use a glue stick to attach each strip to the next. 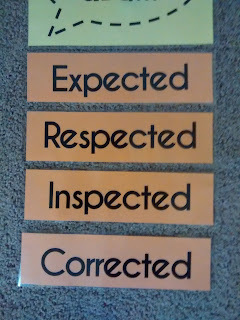 But, being a teacher, I laminate EVERYTHING. 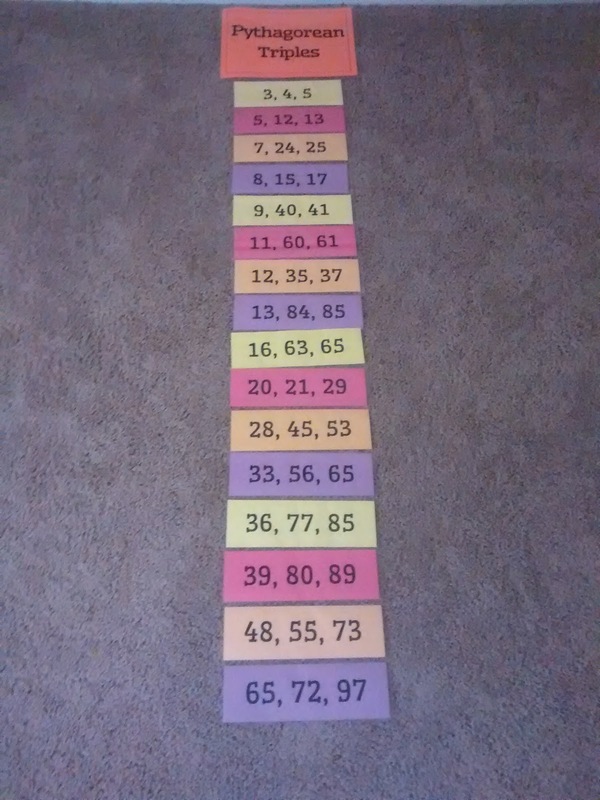 I liked how the horizontal number line was well spaced with 3 numbers to a strip. 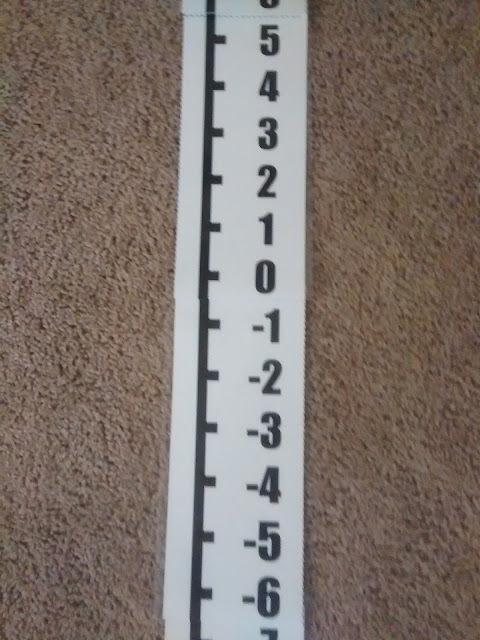 However, I quickly realized that for a vertical number line to have more than a few numbers on it, the numbers would have to be smaller and more closely spaced. I settled on putting six numbers to a strip. I'm okay with it, though, because you shouldn't be able to tell once it's actually hanging up on the wall. 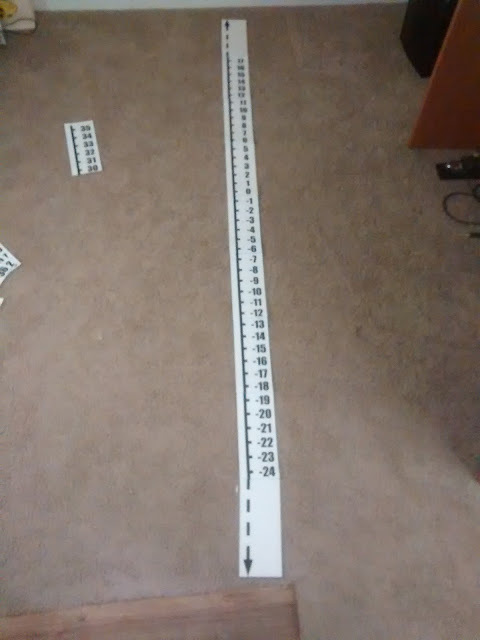 The negatives will have one more number than the positives if I hang up strips in the entirety, but I can fix that by just bumping the arrow that points to negative infinity up to cover that number. 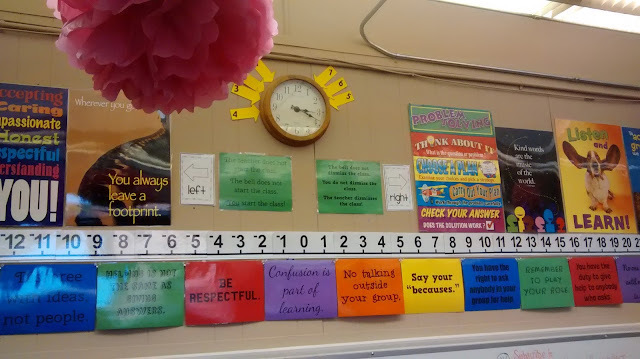 I made the number line go waaaaaaaaaaaaaaayyyyyyyy higher (and lower!) than I have room to actually hang in my classroom. (I'm excited to be in a much newer building this year, but I am a tiny bit sad to lose my high ceilings. It's okay. I actually have storage in my new classroom!) Maybe you have super tall ceilings and can use more numbers than I can? 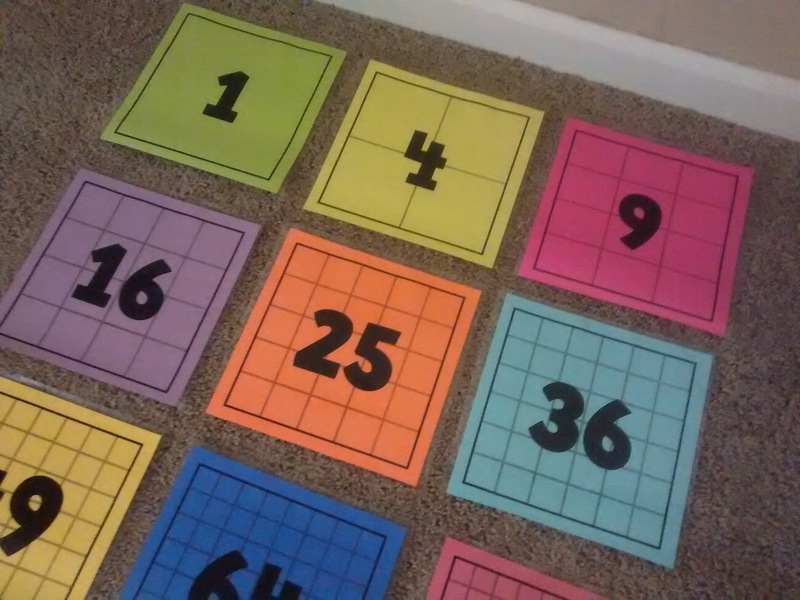 Or maybe you want to build a giant vertical number line that you can lay down in the hall? You'll have to decide whether you want to cut off the bottom edge or the top edge from each strip. 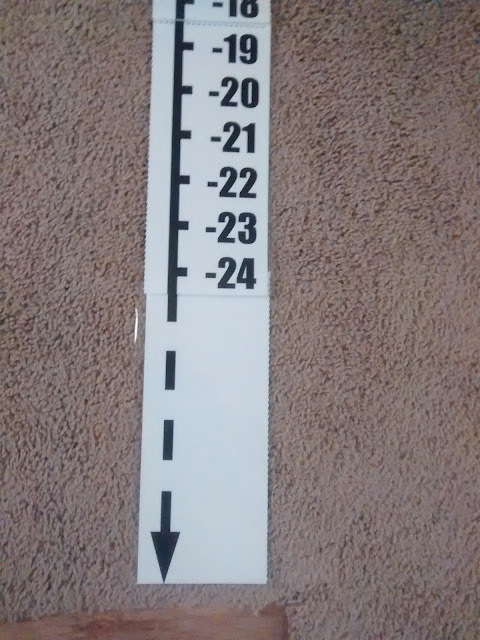 If you cut off the bottom edge, you'll want to start constructing your number line from the bottom to the top. If you cut off the top edge, you'll want to start constructing your number line from the top to the bottom. 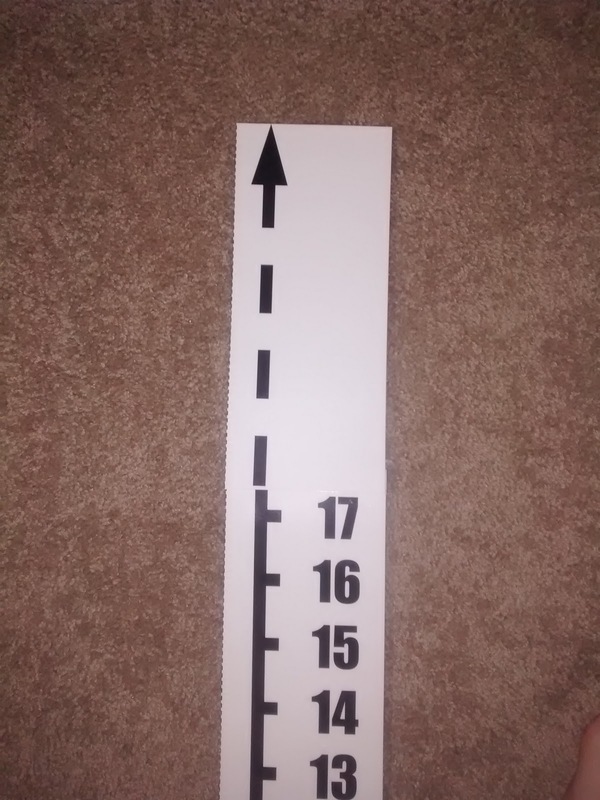 I'll need to trim this top arrow a bit so there won't be a gap between where the numbers end and the arrow begins. 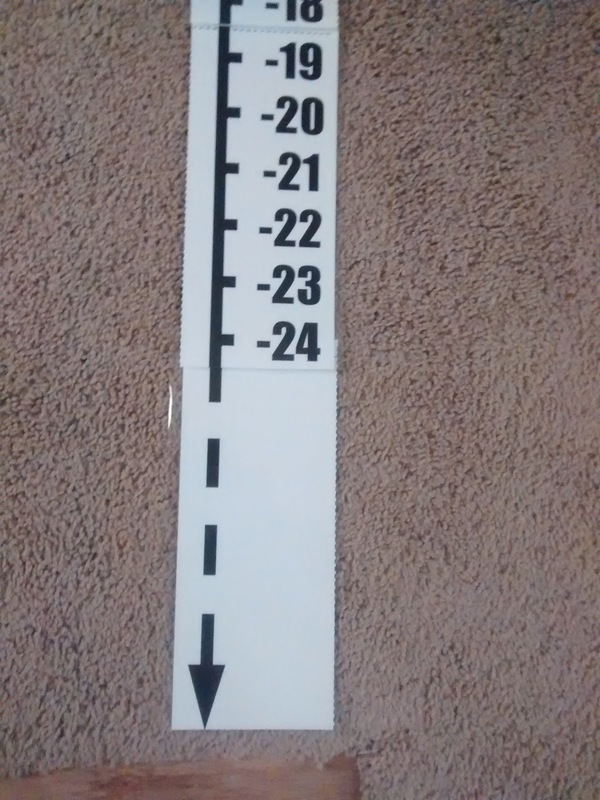 I've uploaded the file for the vertical number line here as an editable Publisher file and a non-editable PDF file. Here's the link! -20 to 20 Number Line Desk Tape (Pack of 36) - Another MTBoSer shared this tool, and I'm debating whether I want to invest in it or not since I plan on having my students put a number line in their INBs. Decisions, decisions, decisions... Full Disclosure: This is an affiliate link.